Vendeur: eb1247 (967) 100%, Lieu où se trouve: southampton, Hampshire, Lieu de livraison: Americas et de nombreux autres pays, Numéro de l'objet: 323739262991 Lawton Germany. Surgical Instruments. 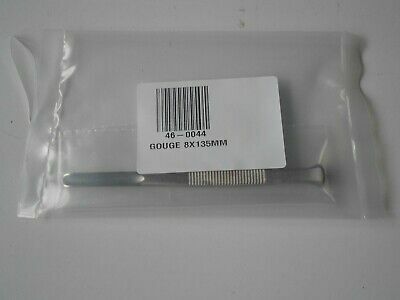 46-0044 Gouge 8x 135mm. Free UK P&P. In very good unused condition in original pack. Thank you for looking. Lots of other items all priced to sell. Condition: New other (see details), Condition: In very good unused condition., Model: Surgical Instruments, Modified Item: No, Country/Region of Manufacture: Germany, Custom Bundle: No, Unit Quantity: 1, MPN: 46-0044, Brand: Lawton, Intended Use/Discipline: Gouge.